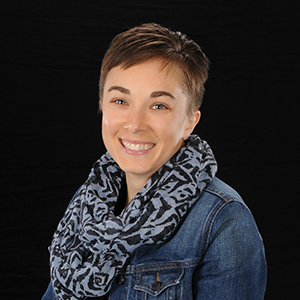 Kristen Koepsell graduated from Wisconsin Lutheran College (Milwaukee, WI) in 2003 with a degree in Psychology, and completed her Synod certification as a Staff Minister from Martin Luther College (New Ulm, MN) in 2014. (A Staff Minister is trained and can serve in all aspects of ministry other than the specifically pastoral roles of preaching and administering the sacraments.) She served as Staff Minister at St. Andrew Lutheran Church in Middleton, WI, from 2003 until 2012. As Coordinator of Music and Elementary Education & Fellowship at Cross of Christ, Kristen accompanies worship, assists in choosing worship music, directs all choirs, and mentors musicians of all ages in using their gifts in worship. She also coordinates Sunday school and youth ministries for Kindergarten through 5th grade. Kristen enjoys time with friends and family; reading and writing; playing and writing music; thrifting; hiking the Boise foothills; and pursuing spiritual and physical fitness.